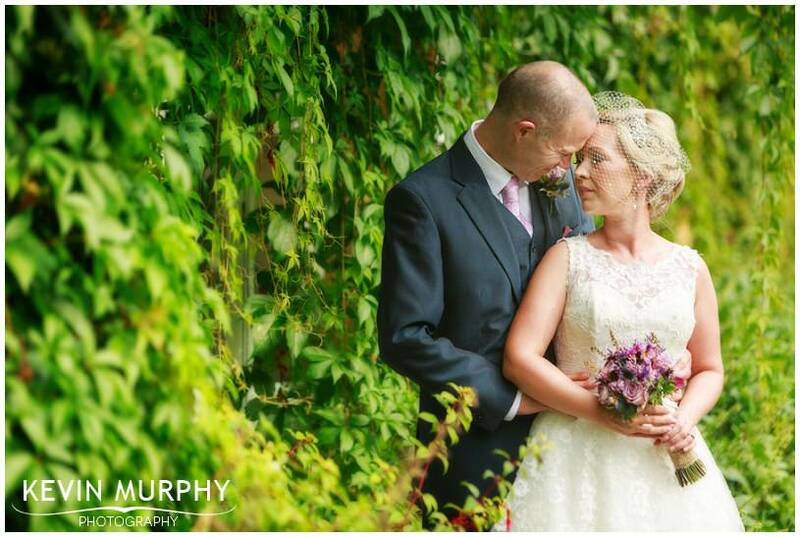 Hazel & Paul were married in the Holy Trinity Abbey Church in Adare and had their reception just up the road in the Dunraven Arms Hotel. One of the things I love about my job is that I get to spend time with families on a hugely important day of their lives. Hazel’s family couldn’t have been more welcoming. It was such a lovely atmosphere I knew it was going to be a great day. And it was! The only downside was the weather. When we were starting to take some bridal party photographs there was a flash of lightning followed by the low rumble of thunder. We persevered and soon after there was another flash followed even more quickly by thunder – it was getting closer! We wrapped up as the first few drops of rain began to fall and a few minutes later I was trapped in my car in one of the heaviest showers I’ve ever seen! Phew! When I was in Hazel’s house that morning, I saw a quote “When a wife has a good husband, it is easily seen in her face”. That pretty much summed up the day with Hazel and Paul wearing beaming smiles for the entire day. The playlist of music Catriona had put together for the morning preparations. The little details Hazel had around the house that morning – I was like a kid in a sweet shop! 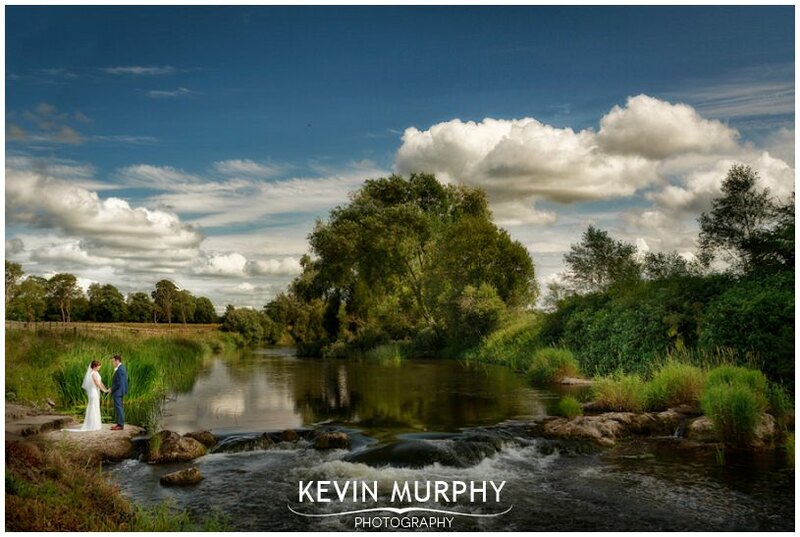 Going to Adare Castle to take photographs. It was cut short by the weather but it was a lot of fun! The details in the Dunraven. I don’t think I’ve ever seen it looking so well. The bunting, candy bar, wedding cake (that Hazel’s mother had made), table plan and centrepieces were all amazing. 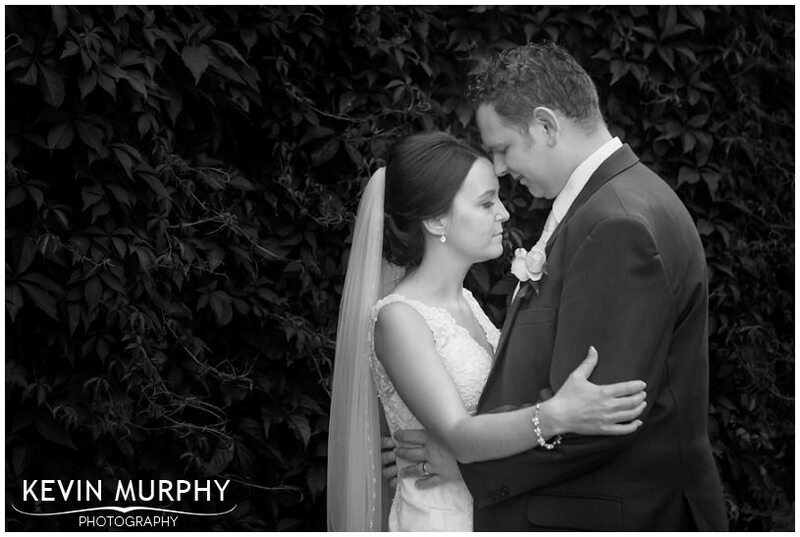 Suzie and Gary were married in Meanus church and had their reception in the Armada Hotel in Spanish Point. The Child of Prague did a great job and everyone was in high spirits. As well as stopping on the coast for some photographs with the bridal party, Suzie and Gary also drove to a personal location for a few more photographs. The weather was really sunny and windy which made things a bit challenging – but I’ll take that over rain any day! The pool table in their house. I was tempted to have a game myself but thought better of it seeing as it is surrounded by glass windows! Suzie and all of the girls walking to the church from her house. Corey’s suit and mini converse. The flowers were fab, as were all the other little details like the boxes for the rings, the bike outside the church and the tables in the hotel. Gary and Suzie driving their own wedding car. The journey between the church and the hotel is one of the few times a married couple get to spend alone so I’m sure they had a great chat. Going to Seafield beach where Suzie’s mother used to go as a child. The horse racing themed seating plan along with the form of each guest. Apparently Suzie “travels well over distance” and Gary is “in good nick”! Carmel & Brian are a great couple. Every time I met them in the lead up to their wedding day I really enjoyed their company so I knew their wedding day was going to be great. 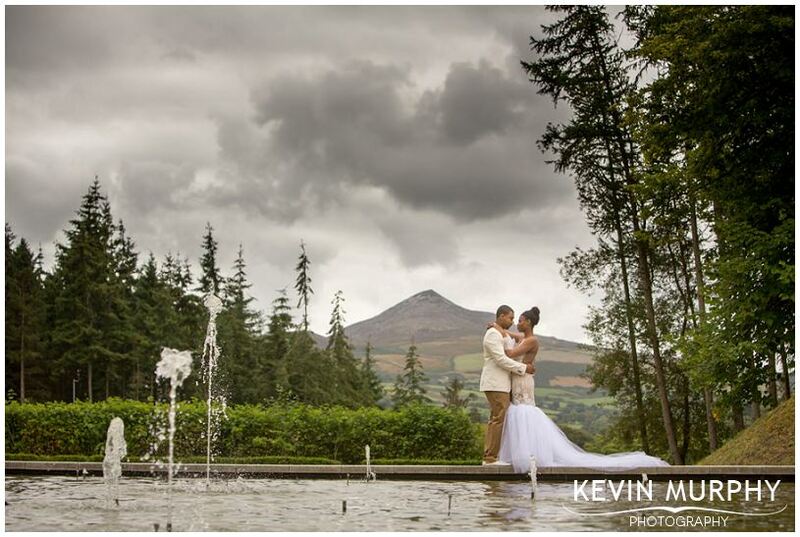 They were married in Croom and had their reception in the Charleville Park Hotel. 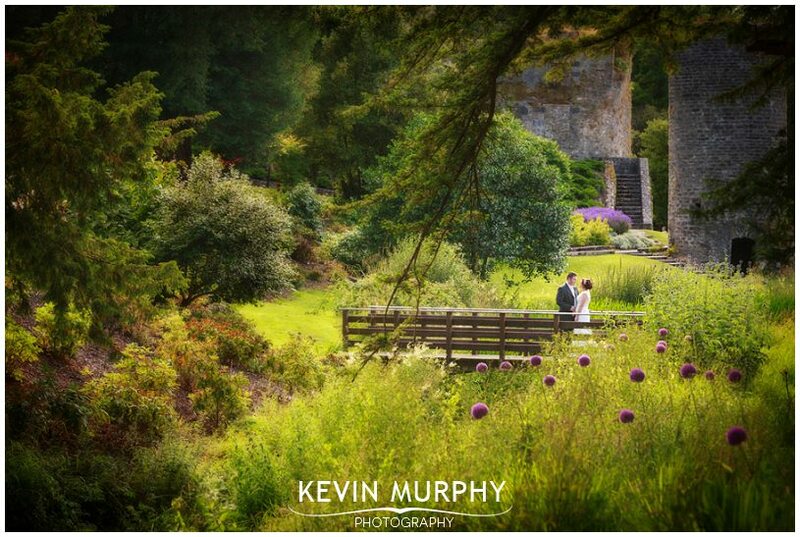 For their bridal party photographs we went to a top secret location and it was stunning! I love going to new places, it makes it so much more personal. The garden at Carmel’s house, it had obviously been well prepared for the big day! The flower girls covering their ears when singing started in the church! The location for the bridal party photography. The light on the day was challenging so I didn’t get to do a few things I had planned, but it was still a beautiful place to go. Brian’s sense of humour. And Carmel’s endless positivity. 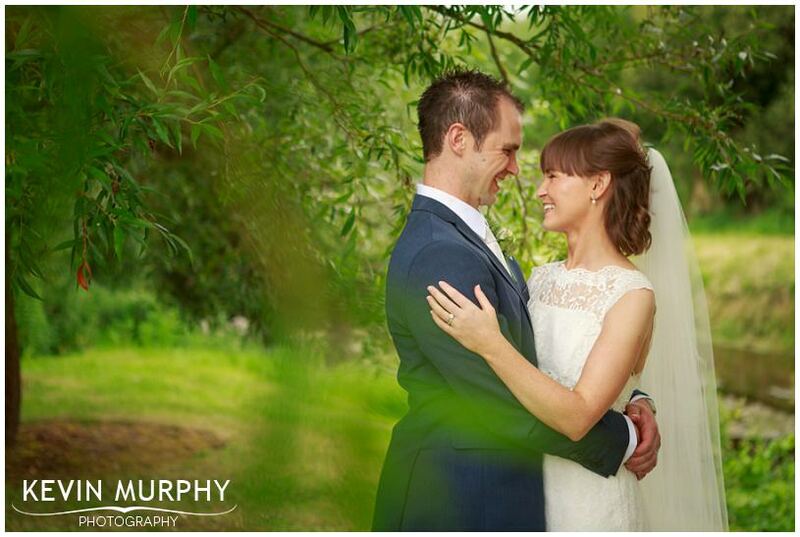 Aine & Jack were married in Manister Church and held their reception in the Woodlands House Hotel in Adare. These guys put the party in wedding party! It was great fun from start to finish and I really enjoyed being there to capture it all. The excitement that morning as the girls got ready in Revas Spa in the Woodlands. When Orla (the flowergirl) turned up she got swept off her feet in the world’s biggest hug from Áine – her feet were dangling in the air! The singing in the church – I love it when the family get involved. Going somewhere personal for the bridal party photographs. We went to “the track”, not only was it a great location with a lovely river running through it but it was also the location that Áine and Jack hung out at when they started going out which made it even more personal. The rest of the speeches were great too, even their priest got in on the action and had more than a few people crying with laughter! We had a ball. We loved every minute of our day. Jack and I would like to express our sincere gratitude to you for the fantastic job you did on our wedding day. We loved your relaxed approach and your sense of humour. It was lovely to see you join in with our laughs throughout the day. Getting to hang out that morning with Doreen’s family. It was a lot of fun, and they have to be one of the loveliest (and most loving) families I’ve had the pleasure of working with. Doreen’s dog who was dressed up with an actual lucky horseshoe. Jack, aka The Lord Of The Rings! Michelle & Olivia (the two bridesmaids) singing during the ceremony. It’s so much more personal when friends and family join in. Blarney gardens. Wow. I’d been there the week before to find some nice locations and I was blown away by it. Thankfully the weather was great on the day and we got to make the most of it. James managing to work all of the table names into his speech. 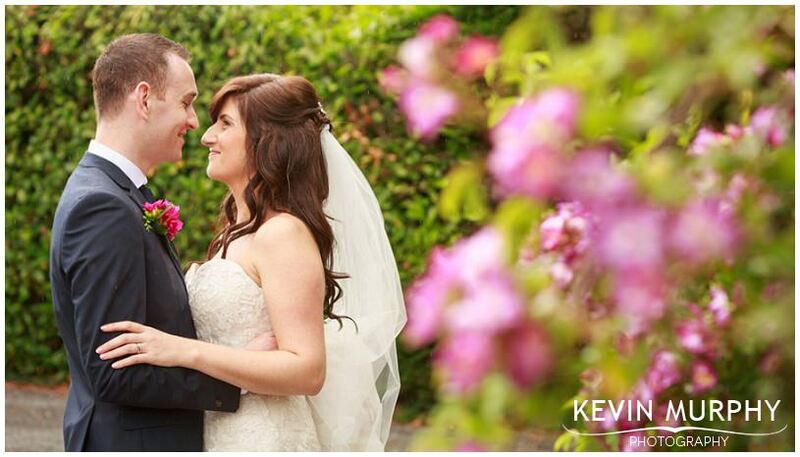 Sinéad and John had the difficult task of organising their wedding from sunny Brisbane. It’s never easy organising something from the opposite side of the world, but they did an amazing job. (I think both Mum’s may be honorary wedding planners after it all!) The details and thought put into the day were huge and it definitely paid off. Getting married exactly 10 years after their first date! The combination of their wedding day and the fact that they were home surrounded by friends and family that had Sinéad and John smiling the entire day long. The obvious bond between Sinéad and her granny who lives just next door. A family uniting for the first time ever. Amazing. Managing to get some photographs outside in between the showers – with the help from umbrellas, shade under trees and a great couple who didn’t mind a few drops here and there! All the details – not only that but the detail in the details – using the same font, colours and style across all the printed materials (which happened to tie in with the bridesmaids colours) – genius! Thanks so much for everything – you did a fantastic job and you were so easy to work with, I was never more comfortable in front of a camera and that says a lot! Occasionally I like to do weddings that are a bit further away. It’s nice to go to new locations, meet new people and find nice places to take photographs. When I first met Amanda and Ronan way back in early 2013 I loved their story and their plan for their wedding. They have been going out with each other FOREVER and they had loads of little personal touches during the day. The fact that Ronan is a talented cabinet maker was an advantage! Their day was jam packed. Usually there is only time for one pit stop for photographs, but we managed to squeeze three in! Firstly, it was across the road to the most fascinating pub/grocery I’ve ever been in – whether you wanted a pint of Guinness, lawn seed or 10 litres of white emulsion paint they had it all! After that, we went to Ronan and Amanda’s house to see their precious pet dogs and finally we went to Woodstock Gardens – phew! Amanda’s Mum’s wedding dress hanging side by side with Amanda’s dress. The note Ronan sent Amanda that morning. It was emotional! The hospitality in Amanda’s house that morning. Honestly, it was like I was a long lost friend. In fact, I soon found out it was easier to just accept everything I was offered because if my hands were empty I was going to be offered again within ten seconds!! Ronan’s handiwork – from the candle holders in the church to the table plan and cake stand at the reception. He was busy! Kenny’s speech. It was the most honest, natural speech ever (probably because he forgot his notes!) and it was hilarious. The singing waiter. He went down a storm, not to mention Ronan’s solo finale! 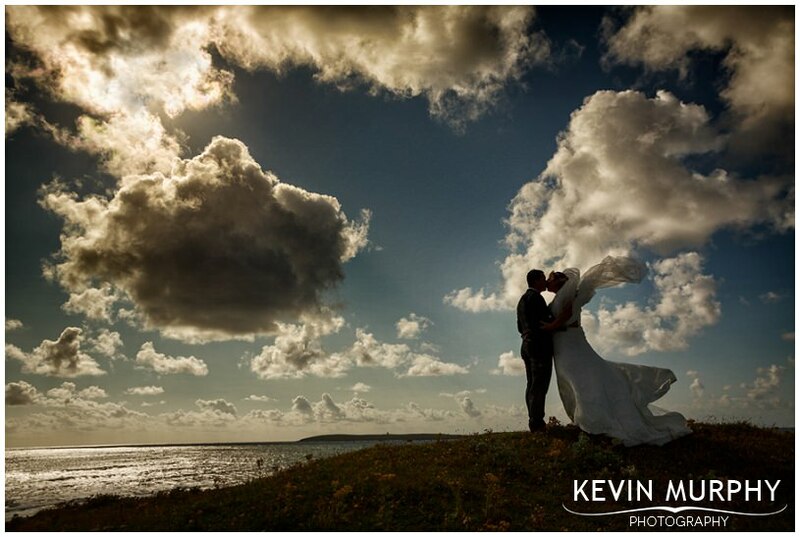 It was a pleasure to have you capture the special moments from our big day. I always knew that I wanted an easy going approach to taking our photos but little did I think that seeing the photos on the slide show would be one of the highlights. Everyone absolutely loved this part of the day and they’re still raving about it! Numerous people have said how lucky we are you have you as our photographer and I couldn’t agree more. 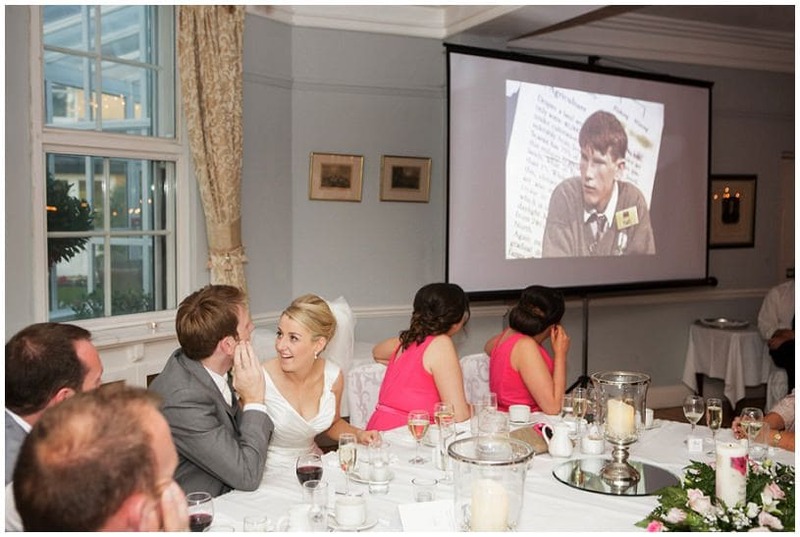 Everything happening in one location – Hotel Doolin – the preparations, the ceremony and the reception. Seamus trusting me to bring along some of his Lego Star Wars collection. It made for one of my favourite wedding ring images ever. They had a sand ceremony, but to make it even more personal they went and got sand from the beaches they used to go to as children. What a great idea. Tracy’s that’s-what-she-said moment during the vows – I’ve sworn to Tracy I wouldn’t repeat what she actually said, but it was very funny! 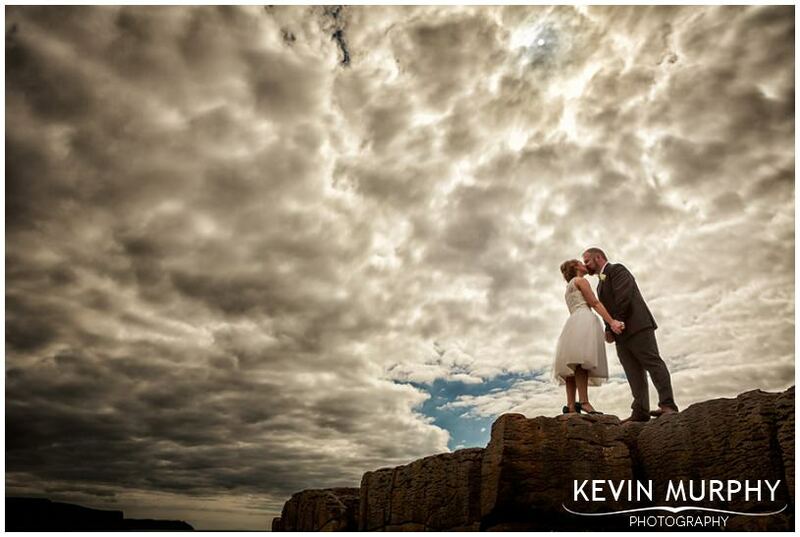 Getting down to the coast with the bridal party and getting a great sky to work with. The Siege of Ennis. It started perfectly (after a little tutorial from the band) but it was chaos within minutes! Thank you so much for all the hard work you did in Doolin. We had a fantastic day and we are so glad that you were there to capture it. All our guests were raving about the photos from the sneak peek that evening. A great day was had by all helped in no small amount by your friendliness and professionalism. From the first meeting we knew that you were the right person for the job. You have a fantastic talent.